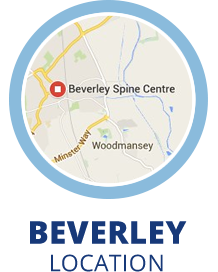 High quality patient centered spinal care in Hull and Beverley. 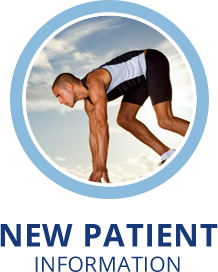 We are pleased to offer the highest quality of care possible by staying up to date with all of the current developments in chiropractic care. We enjoy helping patients who have “tried everything” with no success. 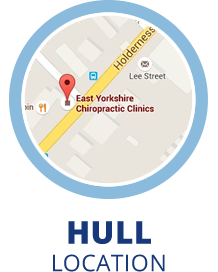 For Humberside chiropractic patients who think of chiropractic as a last resort, East Yorkshire Back Clinic are gratified to help! 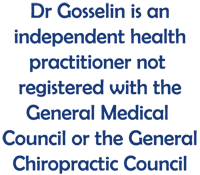 We are continually furthering our education to provide our patients with the best and most advanced chiropractic care possible, including graduate studies at the Medical and Biological Engineering Research Group of the University of Hull. Don't wait until you've "tried everything" to find a practitioner in the East Riding area who can help your body heal itself so you can regain your health and wellbeing for an active and fulfilling life! Call East Yorkshire Back Clinic today! A friendly set up – it helps a new patient to feel relaxed and less anxious. Guy was extremely knowledgeable and helpful. I’ve followed his advice and already benefited from it thank you! Excellent people skills all round. Left the practice with confidence that my back pain can be sorted. Wish I had visited Guy years ago, he was like a magic wand! I have found my experience so far excellent, from the very beginning of booking my treatment the staff was so helpful and friendly. Even after one treatment I can feel an improvement. 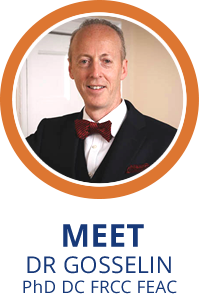 The Dr has such a wealth of knowledge and is very thorough with his consultation – puts you at ease instantly, I wouldn’t hesitate to recommend him at all. The receptionist was very friendly which helped to make me feel at ease Dr. Gosselin explained everything very well and he was very gentle. Receptionist was polite, friendly and very helpful. Extremely professional and confident approach which was very reassuring. Very impressive to be honest. Very friendly welcome and felt huge benefits after my first visit. Would definitely recommend. Dr. Guy offered to write/email a referral letter (in French) to a practitioner more local to me, outlining the outcome of my initial appointment. This was music to my ears – a professional and friendly approach which was above and beyond the call of duty! Initial consultation was very thorough. Dr Gosselin located the current problem. Identified an old injury and even found a problem I didn’t know I had. Good first visit. Very hopeful!! Very professional and attentive staff, would gladly recommend this practice to others. Excellent service all round. Highly recommended. Relaxed, friendly experience. Very impressed all round. Many thanks. Amazing experience and very knowledgeable staff, made me feel relaxed and at ease. Far better than my doctor. I feel optimistic that my problem might have a long term solution. I certainly feel in knowledgeable hands. I feel so much better and wish I had gone sooner (my fault) Dr. Guy Gosselin was so informative and knowledgeable. Thank you!!! I’m really happy with the service and advice given. Thank you! I would certainly recommend you to anyone who needed your expertise. The whole visit was a pleasure and I am so pleased that I found you. Your receptionist was both friendly and helpful, in putting the ramp out for me, so I could get my wheelchair into the clinic. I felt a difference straight away, so glad I decided to come. Amazing first visit, very helpful chiropractor. Warm, welcoming, helpful and friendly people. Had been recommended by more than one person. Dr. Guy is a real professional! Wonderful service I would recommend him highly. Excellent experience. 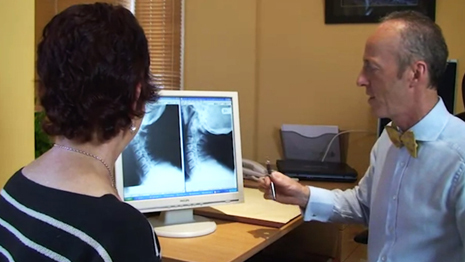 I felt I was listened to and the Doctor understood my symptoms. At last, someone who actually listened to all of my ailments and connected the dots! I would and have recommended Dr Gosselin to friends and family. I wish I had visited much sooner, would definitely recommend to others. I am so pleased with my treatment. Within two days of seeing Mr Gosselin, I had a scan arranged and my results back. I now have a treatment plan to help me. Thank you! Fantastic service, very helpful. Would highly recommend! Very helpful, friendly and informative. Relief from agonizing pain that I was in. Excellent service with full explanation of my condition leaving me with confidence in the skill and ability. Feels good to know that I have someone who understands back pain and can help me! Very pleasant and helpful staff, everything explained thoroughly and treatment as explained. Will continue with treatment and advice. Attended with one problem, after a quick discussion with Dr. Gosselin may also have helped with another problem which my G.P. was struggling to diagnose. Excellent first visit! Excellent friendly service, identified my back problem straight away.